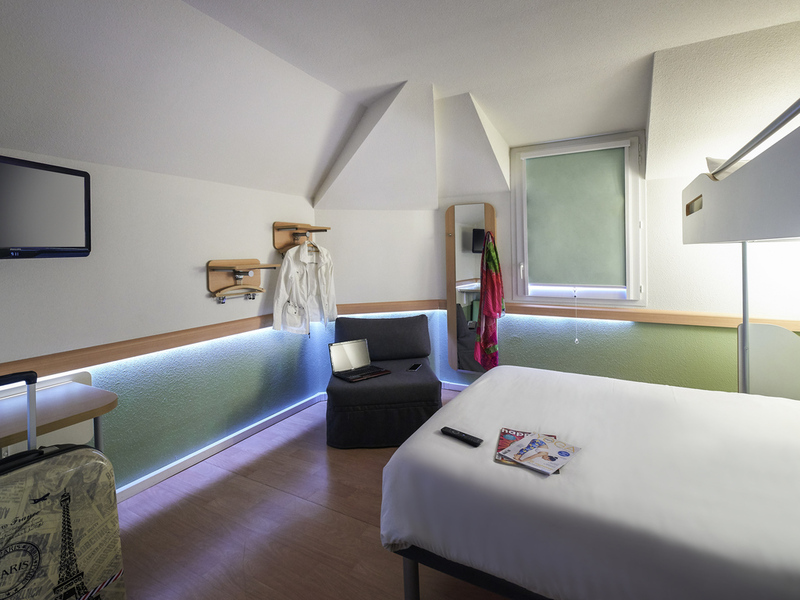 Located in the heart of the town center, 55 yds (50 m) from Place Travot and 0.6 miles (1 km) from the train station, the ibis budget Cholet Centre hotel is the smart choice for affordable accommodation! Stay in this brand new hotel with cocoon rooms for 1, 2, 3 or even 4 people, each with shower, toilet and satellite TV. Enjoy an unlimited breakfast buffet at a great price, as well as free unlimited WIFI and an underground car park.